Steven Butala: Steve and Jill, here. 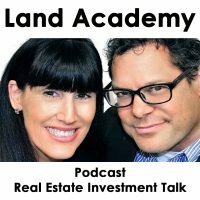 Welcome to the Land Academy show, entertaining land investor talk. I’m Steven Jack Butala. Jill DeWit: And I’m Jill DeWitt broadcasting from sunny, southern California. Steven Butala: Today Jill and I talk about how to avoid deal theft. Well what is it, first? Jill DeWit: Like car theft? Steven Butala: Yeah, it’s only worse, and more expensive. Jill DeWit: Can I go somewhere and report a deal theft? Steven Butala: And you can’t get insurance. Steven Butala: Yeah, you can report it to me. Jill DeWit: I would like to file a report, please. Someone stole my deal. Steven Butala: It’s funny that you say that. That’s exactly why we’re doing this show. Jill DeWit: I wish there was a thing. Steven Butala: One of our members emailed me and said, “I’m wondering if you guys can do a show about deal theft, because I just lost 30 grand. Steven Butala: With no insurance, like but you lose, somebody steals your car, at least you have a chance of getting some money back. 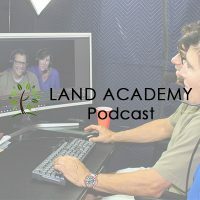 Steven Butala: Before we get into it, let’s take a question posted by one of our members on the LandAcademy.com online community. It’s free. Jill DeWit: Okay. Mark asked, “I was wondering if it’s a normal practice among the group to search not only for liens under the county APN, but also under the owner name, as some liens get recorded against the name only, not only, and not against a particlular property. Thank you. Steven Butala: All right. This is a fantastic question, and it’s, if you’re new in the business, I want you to close your ears, because this kind of stuff doesn’t matter. It’s so infrequent that, and it’s only if you’re doing your own deals, and if you’re not using a title agent and all that stuff. But if you’re a pretty seasoned investor, you’ve done at least ten transactions or more, or you’re like us where this is your business, you should know that there’s a couple types of liens on real estate. Two big picture types, like Roman numeral types like Roman numeral one, and Roman numeral two. Number one is, liens that stay with the property. The most common type is set property taxes, so if somebody stops paying their property taxes on a piece of real estate, eventually the county is going to foreclose on the property, but there’s no repercussions to you as the owner. They’re not going to look up your credit score, your credit report. It’s not going to damage your credit. What they’re going to do, they’re only interested in the property. They’re going to take the property back, and resell it to somebody, however they do that, just to get it back on the tax rolls. That’s the first type of lien that stays with the property. The second type of lien is a lien against the owner. A personal guarantee it’s called, or there’s a lot of different names for it based on geography around the country. A good example of that is an IRS lien, so if the tax people come after you, they want all your assets. All the real estate that you own, anything that has any value. Or, a popular one these days is a healthcare lien, where you just didn’t pay your hospital bill, and we all have and no people in these situations. So does it ever get enforced? Is it real? In my opinion, in my 15, almost 16 thousand transaction opinion, I’ve seen one healthcare lien affect a transaction, and I’ve seen zero IRS liens. Does that mean I purchase properties without these things? No. What it means is that does the IRS really look that closely? Do the healthcare people, does some administrator of a hospital where the owner hasn’t paid the bill really try to have a task force, and enforce this stuff? No. What I’m saying in an honest and straightforward, real-world way, don’t worry about this stuff. You only really have to worry about tax liens, and those are real easy to find. Right, Jill? I mean, what are the tools that we use? Steven Butala: Lien reports, you know? Jill DeWit: Exactly. I can pull a lien report, or I can even … most of the counties nowadays, they’re getting there, I should say. Not most, but a lot of counties are, you can go right on the website, pop in the APN, or even the last name. There’s other ways you can look them up, and see what the taxes are due. Steven Butala: Or you could use Title Pro 24/7, like we use. Steven Butala: What are some of the other tools that we use to pull lien reports? Real Quest Pro. Jill DeWit: There you go. Lots of things. Data Tree. Steven Butala: I mean, I know that you’re more familiar with this than me about pulling lien reports and things like that. Jill DeWit: I, [inaudible 00:04:22] you know, honestly. Steven Butala: Okay. We use Title Pro 24/7 to pull a lien report against the rural vacant land that we use, where we don’t use an actual title agent to close it, which for us is becoming honestly far and few between because we just do bigger deals. So this is again something that where if you’re in the middle of your career, you should really understand this, but it’s a standard course of business if you hire a title agent to close your deal. If you were buying and selling houses, you don’t have to think about this at all. The title agent really looks at it closely. Hope that helps. Today’s topic, how to avoid deal theft. Boy, it’s just a positive all the way around today. Jill DeWit: It really is. I love this today. Thank you. Jill DeWit: How about the seller talked about it to family members? Jill DeWit: Right. I’m going to offer him 5,500. Steven Butala: Yeah, and I’m going to close today. Jill DeWit: That’s what happens. Steven Butala: In fact, I know where this guy lives. I’m going to go knock on his door. We can just do the whole thing right there. Steven Butala: And so they do. They go around you. Air quotes. Go around you, and buy the property. That’s stealing. That’s deal theft, so how do you avoid that? I think it’s pretty obvious. You just don’t tell anybody at all. Jill DeWit: That’s it. Keep your mouth shut. Jill DeWit: Right. [crosstalk 00:07:35] That could but happening. Steven Butala: Yeah, it could be. Jill DeWit: If you have enough deal flow, you don’t notice it, and it’s not hurting you. Steven Butala: That’s the answer, Jill. You nailed it. So my point was, or yeah Jill, go ahead on that. If you’re doing 25 deals this month, it doesn’t really matter. Jill DeWit: No, I’d never know. I had a little bit of a cushion built in anyway. If it’s in my cushion, comfortable range, I’ll do it. That’s fine, and then we’ll do it fast, man. Jill DeWit: Because the last thing I need is a bidding war. When there’s sort of a bidding war, then I’m out. Forget it, but it can happen. Steven Butala: Most of the time there’s super positive stuff on the show, but we have to cover it in all seriousness about, we have to cover some of this stuff that needs to be addressed in a regular business, and we have to cover it on the show. But I’ll tell you, the blanket answer for almost all this, is it’s just what Jill said. Number one, have a lot of deals coming in, so if a couple of them just blow up at the end, it’s no big deal. And number two, make them like you. They’ll do business with you over and over again. They’ll get that all important deal closed if you Jillify it. That’s what I call it. Just be good on the phone, and deliver what you’re going to say. It’s very simple stuff. And then when you properly tell that to, it’s like they might even go with you because of the ease of the transaction, and they like you. That’s more to it. Steven Butala: Add a bunch of normal, or regular good practices like web presence, and answering your phone on time, and returning their calls, and meeting with them from where they come. We don’t talk about buying and selling houses too much on this program, but I will tell you that the reason … there’s no competition with land at all. 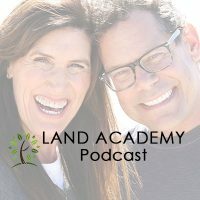 Purchasing land, they’re almost always the only seller, the only buyer they’re talking to, but with houses, they’re might be another or two people that they’ve expressed interest, and really what separates you is when you meet that person from where they’re coming. And with houses, it’s almost always an older couple, or a single older person who just wants to sell. They don’t want to clean up their house, and they need some convenience, and they have a little trigger point like I need to be out but a date, or geez, there’s so much garbage in my basement. Can you help me clean it out? That makes all the difference if you address those. Jill DeWit: You know what I would not do? Is get into an argument, or get into a how do you know that they’re legitimate? Or how do you know? I would never, ever go down that path. Steven Butala: Yep, I agree. Steven Butala: All of that stuff really matters. Jill DeWit: So it’s real cool, and they’re going to go, “I love you.” And then do it fast. Steven Butala: I mean, how many times do you say some version of this each week? “You know, Mrs. Smith, if you have a $40,000 offer on this piece of property, I really think you should accept it as fast as you can. Steven Butala: Keep my number. Keep my number, and throw it away after the check clears. Steven Butala: And they almost always call you back, because it’s a negotiation tactic. Or maybe, I see this a lot with younger people. Younger people will make promises. Younger buyers, let’s say. I know this, because I used to do it, make promises they can’t keep, or say, “Yeah, I’m happy to pay 30.” Without even checking, “30,000 is fine. If somebody else offered 30, I’m sure I can offer 35.” And then you get into it, and it’s worth 5 grand. Steven Butala: They come crawling back when that happens. Jill DeWit: And then you’re halfway down the path, and they’re like, “Whoops. My boss said no.” [crosstalk 00:13:06] Really? Steven Butala: Well, you’ve done it again. You spent another, I don’t know, 15 minutes listening to the Land Academy show. 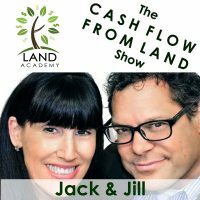 Join us tomorrow for another interesting episode where we discuss how much money does it really take to get started in the land business? Jill DeWit: Cool, and we answer your question, should you have one, posted on our online community found off of LandAcademy.com. Jill DeWit: That was a little negative, but I don’t think it came across [crosstalk 00:13:37] negative. Steven Butala: Yeah, sometimes you just have to talk about this stuff, and just be aware of it. This stuff never really happens, the deal theft thing, and we wrapped it up in a good positive way, where you can turn all this negative stuff into a positive, and you should actually practice it the second you begin doing this or anything. Steven Butala: This stuff applies to life, I think. Jill DeWit: You’re right. It’s just some things to be aware of. We don’t want you to walk around being paranoid like my wife told her neighbor. My gosh, I can’t believe it. Now the deals going to fall through, and it’s three states over, and the neighbor could care less. Steven Butala: Really. That’s the stuff that really happens. Jill DeWit: Don’t be paranoid. Steven Butala: I had too much coffee one day, and something happened. Jill DeWit: Guess what my husband is buying? My gosh. Steven Butala: And the question in the beginning about tax liens, and liens, it happens so infrequently, if ever, that part of me is like we shouldn’t even talk about it. If this is going to discourage somebody up front to do, to try to do this or get involved in it, or even in the middle of your career, great, I’ve got to add something else to my due diligence list? Sometimes it’s … you have to know about it, though. I’m stuck in the middle, I guess. Jill DeWit: You’re doing just fine. Share the fun but subscribing on iTunes, or wherever you are listening. And while you’re at it, rate us there. We are Steve and Jill.